Every business and organization has a story to tell. However, deciding how to tell your story and how to communicate your message to the right target audience is often an overwhelming task. Organizations often don’t know how to use advertising, which advertising works, how to budget for it, or how to ensure they get a return on their investment. This course is for those who want a clear presentation on how to make decisions that make money and drive the bottom line. Participants will work on their own project, providing direction to move forward and take action on their branding and advertising strategy. Business owners and marketing professionals who are actively involved in the advertising and marketing decisions for their business. Includes course tuition and all teaching materials, meals and refreshments. 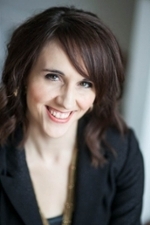 Daria Malin is the owner of Boost Strategic Coaching and author of the book Hands-On Marketing; The Small Business Owner’s Guide to Advertising and Branding. Daria works alongside business owners to line up their marketing, branding and sales, becoming a trusted source of support, guidance, and accountability. Daria spent 16 years of her career in media advertising sales where she was instrumental in the success of hundreds of marketing campaigns and promotions. She has a Bachelor of Commerce degree from the University of Saskatchewan, and is a graduate of The Wizard Academy Nontraditional Business School in Austin, Texas; taught by Roy H. Williams; founder of the Academy and author of the bestselling Wizard of Ads book series. Receive a complimentary copy of the book Hands-On Marketing: The Small Business Owner's Guide to Advertising & Branding by Daria Malin.